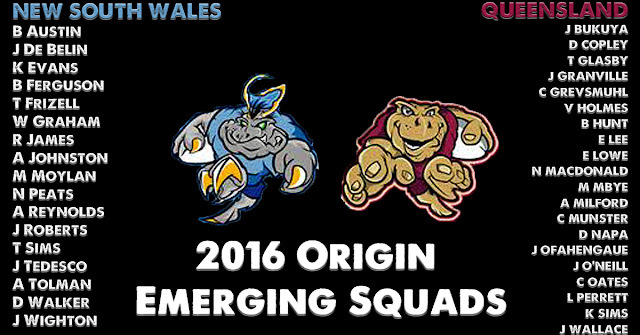 Which players named in Emerging Origin squads could debut in 2016? We were going to overhaul our wdnicolson.com creative style but hey slightly dodgy is our thing right? The NRL Tweet takes a quick look at a handful of players who might be a chance of debuting for NSW or QLD in the 2016 Series... but there may not be many openings on either team so don't hold your breath potential debutants! Now we're talking genuine debutants - so Blake Ferguson doesn't qualify. Big, mean and red-headed - he starts 2016 the way he finished 2015 and he'll likely oust Jacob Lillyman for a spot in the 17. Although Josh Papalii replaced Josh McGuire for Game 3 last year (the latter will come back in if healthy you image) - Napa almost made his debut last year anyway - so he's the most likely guy for mine to get a call up from this list but he's no slam dunk. QLD have never been afraid to pick an outside back on the bench for Origin and though Michael Morgan's NRL form at the end of 2015 gave the Maroons every reason to pick him again - I could see Milford or Cherry-Evans getting the call up again ahead of him potentially. That said QLD are pretty loyal so you'd think Morgan gets first crack - but Milford and DCE for that matter are pretty special. He's #3 on this list on likelihood of getting a run at some stage of the 2016 Series - it's not a case of ranking him 3rd best talent or anything. #4... Tyson Frizell/Tariq Sims, NSW. If Frizell back comes good in time for the first few weeks of the season (he just had surgery) and his form is good thereafter - he looms as a Laurie Daley favourite to come in for a bench role for either Ryan Hoffman or Beau Scott (should either be omitted or step down from Origin contention). I'll add Tariq Sims as 4b here as I think both are firmly in Daley's sights. #5... Blake Austin and Adam Reynolds, NSW. Look - these two could actually be the first two picked if Daley decides to move away from Trent Hodkinson and Mitchell Pearce entirely. But I'm not convinced Pearce is done at Origin level so Daley has to decide what he wants at five-eighth for mine... is it Austin, Reynolds or even Moylan? Then there's Aidan Sezer, Jarrod Mullen and remember that Josh Reynold's character? There's my thoughts and I could be way off - so have you got your own? The new year is here and so are The NRL Tweet's futile attempts at predicting the future. Let's have a crack at 5 things that I think will happen in 2016. #1... 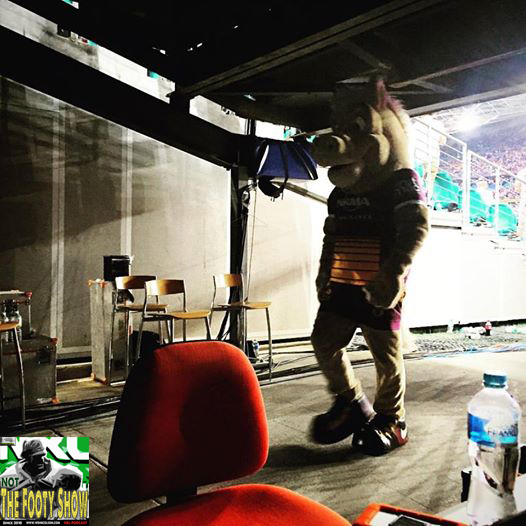 The Brisbane Broncos win the Minor Premiership... in a canter. While I didn't think they'd win the comp last year I also didn't think they'd be a Top 4 side and they proved me wrong on that front... a return to the Grand Final looms as long as Milford and Hunt stay healthy and I expect them to carve up the regular season again. And as an added bonus for Broncos fans - I can't see Wayne Bennett playing 'safe' in the GF again if you make it back. #2... The Cowboys eventually suffer from a premiership hangover of sorts. #4... Thursday Night Football... works. The TV ratings will be there every single week and importantly - so will the games themselves. 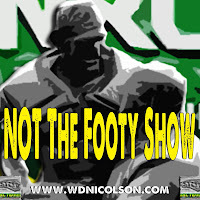 By that I mean that by having 18 editions of TNF - fans will get a chance to experience late week footy and I think they'll learn to love it. It isn't dealing with the 'early week blues' that MNF faced and ultimately couldn't overcome at the gate and though I don't expect sell-out games every Thursday night - I do think it's by far the better of the two options for the extra day of footy to be played on. Now for the clubs to wise up and lower prices at the gate for these games so that fans are rewarded for coming out to the ground... fingers crossed some clubs see the light here. 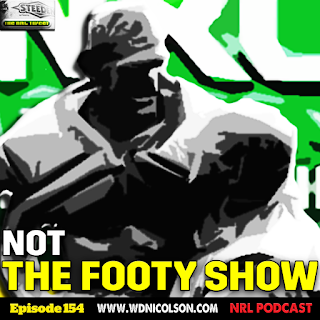 #5... Test Footy - not Origin - is the rep highlight of 2016. It's a bold call but I think that the May Tests (Australia v NZ and the Pacific Test/s) and then the Four Nations at the end of the year in the UK will be more enjoyable than the 2016 edition of State of Origin will be. In fact I'd almost put the Test triple header from Rep Round from 2015 as a better experience than Origin at the MCG... yep I just said that. Growing up watching the Kangaroos was to me - the pinnacle of Rugby League viewing - and though Origin is a wonderful beast - Test Footy is the most interesting contest on the calendar because every nation plays different footy and that's fantastic to watch. There's my 2016 predictions - got your own?